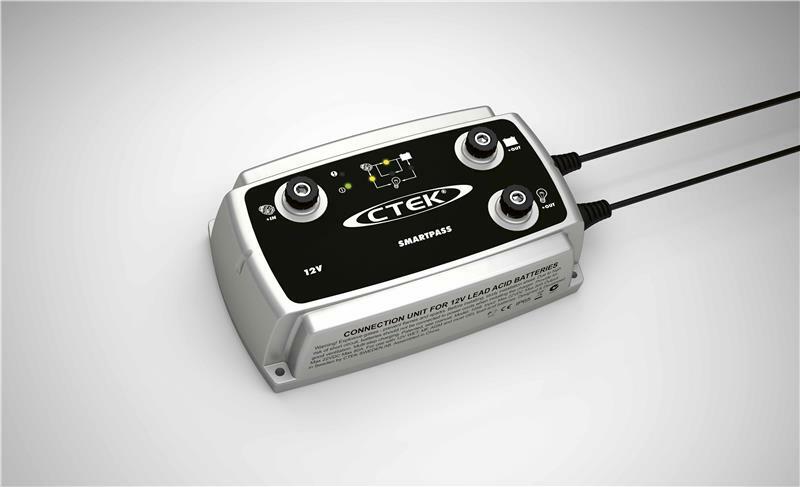 56-676 - CTEK Charger - SmartPass - Dezod Motorsports Inc - Home of the automotive performance enthusiast since 2002. The CTEK Charger, SmartPass is an energy management unit which controls and optimizes energy produced by alternators, solar cells, wind power or conventional AC/DC chargers, and distributes it to the battery banks or consumers which require energy, such as the deep cycle bank, bow thruster batteries, consumers, etc. 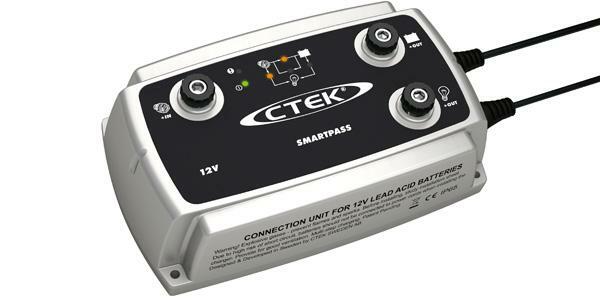 Used together with a D250S DUAL, SmartPass provides optimal charging via CTEK’s unique staged charging cycle, which also protects your batteries. SmartPass also has an integrated ‘battery guard’ which protects deep cycle batteries from harmful total discharge and ensures that critical equipment such as radio, emergency lights and navigation systems always function. SmartPass has a temperature sensor which protects batteries against high temperatures. SmartPass is a fully automatic energy management system which can handle up to 80A for batteries of between 28-800Ah. The energy management system is IP65 classified (water jet and dust protected and approved for outdoor use). Suitable for all types of 12V lead-acid batteries.